The Green Girl attended the first Sole Runners Winter Season run yesterday. As I pulled up, I spotted Jay from Tri2Trive. We chatted as we headed towards the group. It was drizzling out so I opted to leave my camera behind in the dry trunk of my car. 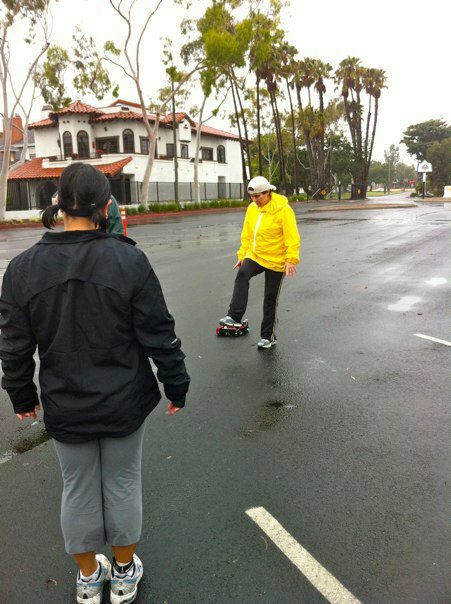 Luckily, one of the other Sole Runners, Betty, managed to snap some shots. I let her know I'd be stealing them for my blog. Since it was the beginning of a new season and we were welcoming a number of unfamiliar faces, one of the mentors, Matt, provided everyone with an overview of the Sole Runners training program. As we moved into the body looseners, all the mentors were asked to come up so I moved to the front to face the group. 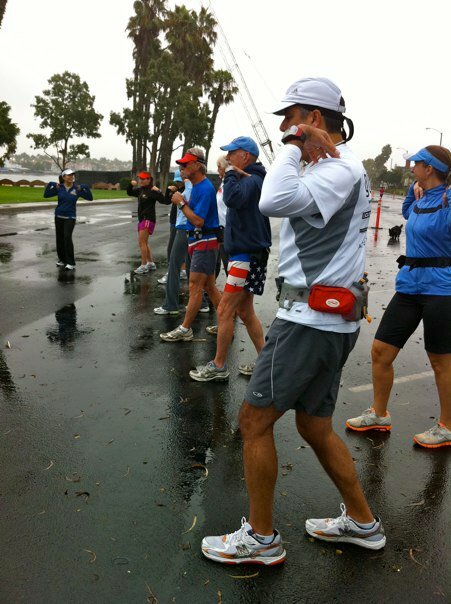 One of the mentors explained that instead of stretching, ChiRunning recommends a set of exercises called body looseners that are designed to loosen your joints and open your body. After that, we headed out for a short, damp run. When the group got back, another mentor, Heather, did an outstanding job leading us in standing post-run yoga. For lunch, I met up with some SparkFriends from SparkPeople at Lala's Grill for some Argentinian food. Everyone was in town for the inaugural Los Angeles Rock 'n' Roll Half Marathon. I was grateful for the opportunity to catch up with my friends. I hadn't seen Coach Nancy since the SparkPeople 'Spark Your Life' Convention last year. 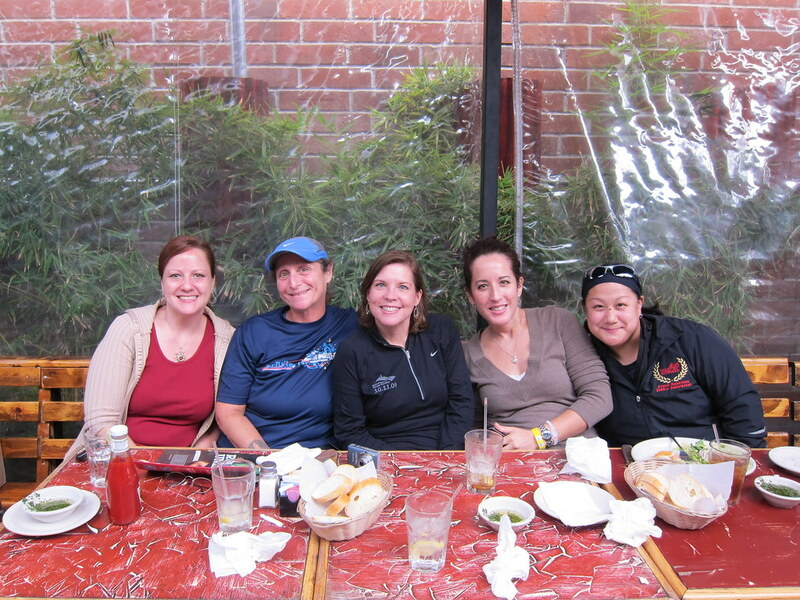 The last time I saw Denise was at the San Francisco Half Marathon the year before. I was also thrilled to be able to see Janey before Jackie and I left for the Athens Classic Marathon. After lunch, we headed back to the Renaissance Hollywood Hotel to wait for more SparkFriends, Felicia, Leah and Maria. Leah is the leader of the San Diego SparkTeam and I'm the leader of the Long Beach SparkTeam. One of these days, our groups are going to get together and do a joint activity. Because I am a hungry Green Girl, I joined the carbo-loading dinner at California Pizza Kitchen and even partook in the actual carbo-loading before I wished them the best of luck and headed back home. A weekend full of friends all-around. VERY fun!!! Your S.F. reference reminded me of our very brief visit in S.F. - hopefully we'll cross paths there again... or maybe you'll make it to CO sometime :). Friends and some carbs are great for a grey drizzly weekend. I love blending friends with carbs...and some yoga doesn't hurt either. Sounds like a good time. Yay for the carbo loading! Have a great week! It's great to have new runners in the group! Hailing from Huntington Beach, I will have to say I'm tired of this soggy weather. Nice seeing you again (briefly again! so busy, you are..) Looking forward to catching some runs with the Sole Runners. 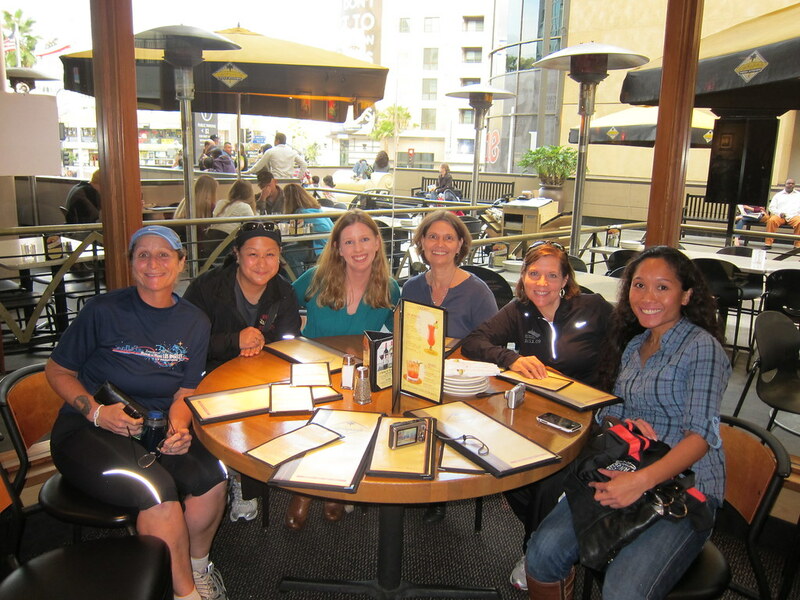 Will miss next Sat cuz I'll be doing my first Triathlon down in San Diego! Ok, have a great week. BTW, there's never a bad time for carb-loading! CPK - I am so jealous! i have to settle for their frozen pizzas *lol* and Argentinian food sounds interesting! i love trying new types of foods. you are very lucky to be in an area where you have big, popular races and can meet up with spark friends. hope you have a great time on your trip! Wow, what a fun day. Fancy schmany dining. I'd never heard of the Spark People, but checked out the S.D. site. Neat.